The calendar says that it’s Fall. In most parts of the country, the temperatures have dropped, the leaves are turning and everyone is getting out their sweaters. But if you live in the South, it is Fall on the calendar ONLY. Some days are a TAD cooler, but we will likely see several more weeks of 90’s until it truly feels like Fall. So, how can you dress for Fall when it’s still sweltering outside? I turned to some of my favorite fashion bloggers to get the answer. 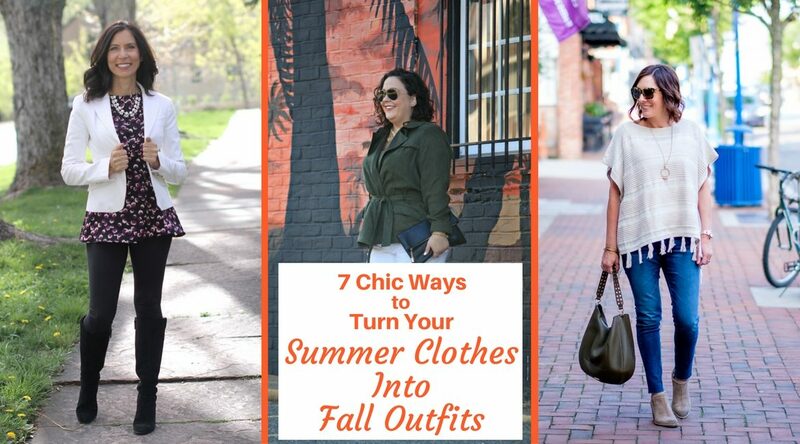 Here are 7 Chic Ways to Turn Your Summer Clothes into Fall Outfits. The “don’t wear white pants after Labor Day” isn’t a thing anymore. 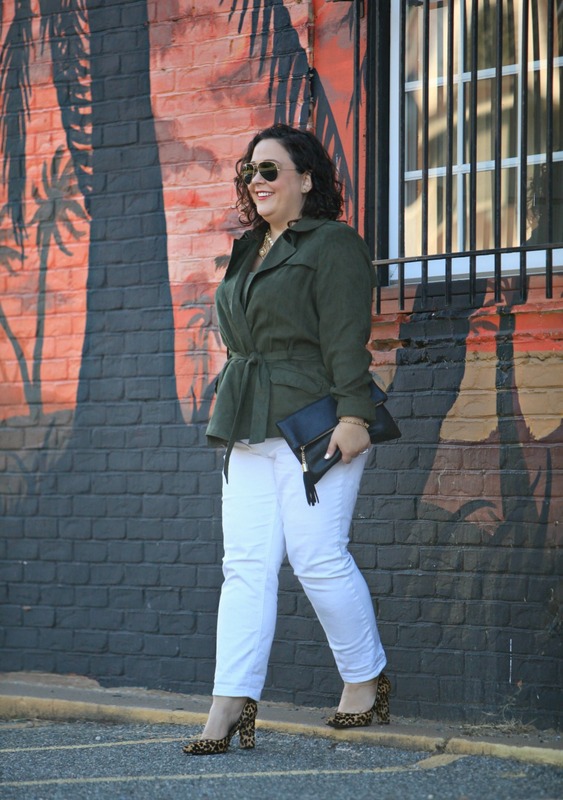 Alison from Wardrobe Oxygen shows that by pairing her white pants with a darker top and some gorgeous animal print pumps, you can take the look right into Fall. Alison is even an expert on the topic! Read her post-Wearing White After Labor Day for more ideas. Ana from Mrs. American Made keeps cool by wearing a dark floral top with her white jeans and sandals. I have been reading Mrs. American Made for a while and love Ana’s style. Here’s how she describes herself: “I am not a model. I am not a super-duper high-end fashionista. I am just a mom trying to look cute on an everyday basis.” How relatable is that? AND she is committed to featuring lots of American made products on her blog. Dark florals are a trend I love this Fall. And there are lots of lightweight tops with a dark floral pattern that “say Fall” without causing you to have a heat stroke. JoLynne from JoLynneShane.com tops her dark floral cami with a rib stitch cardigan. Perfect if it’s a little cool outside. I read JoLynne’s blog religiously. She’s just like she says: “I’m the girlfriend who keeps you in the know with the latest trends, the best sales, and wearable everyday outfits for the modern woman . . . because friends don’t let friends wear mom jeans. 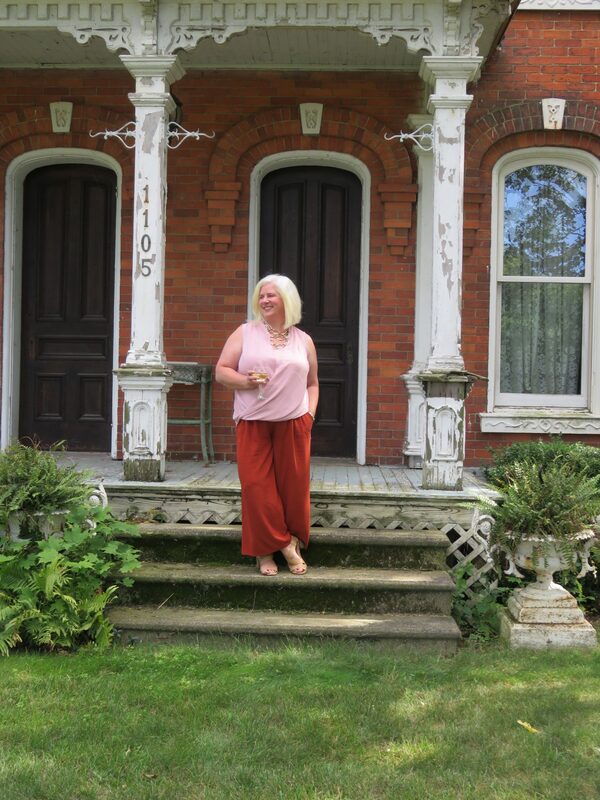 JoLynne features lots of different outfits on her blog and ALWAYS gives an honest assessment of their fit and quality. She also knows her stuff. One of the most popular posts I have ever featured in my newsletter was her post Fight the Frump: Denim Mistakes You Might Be Making. The vest is the perfect piece to layer for Fall without adding a lot of bulk. 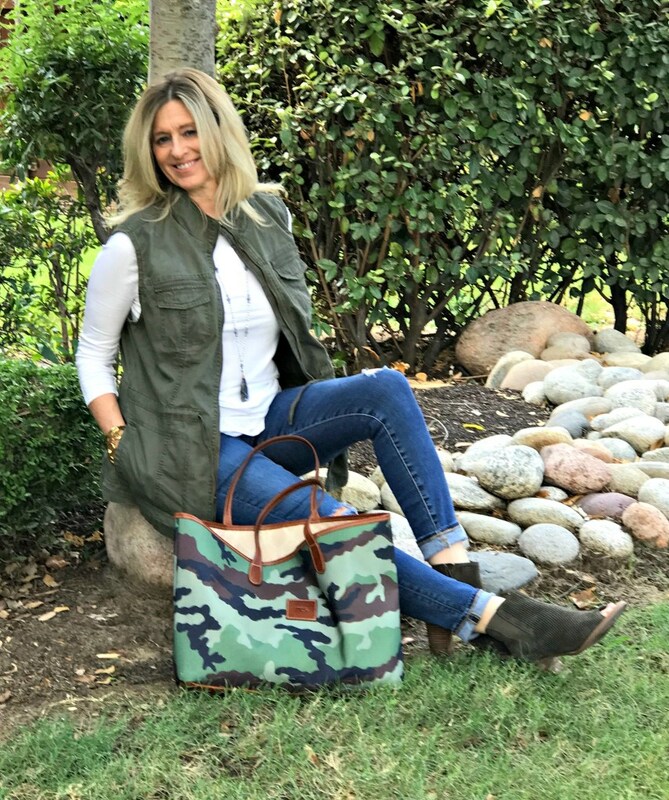 And I LOVE, LOVE, LOVE this green military vest that Tracey from notyourmoms50.com is wearing with a simple tee, jeans, and booties. And would you believe that she got it from Target? You can get the link in her post. I was given this gray suede vest last Fall for a campaign I did for Chadwicks. In the post I wrote, I styled it 3 ways. In this picture, I kept it simple pairing it with my favorite white blouse and jeans. The Chadwicks vest is no longer available, but check out these cute options here & here . When I think poncho – I think of this huge, crocheted, triangular garment that I work in the 70’s when I was in junior high. But ponchos come in so many flattering styles and fabrics these days. The poncho that JoLynne is wearing nips in a little at the waist, so the fit is flattering instead of looking boxy on her. In this post, she wears it alone with jeans, but a soon as it gets cold a long-sleeve tee or turtleneck could be added for warmth. When I say “fake layers” I mean a one-piece garment that actually looks like two pieces. Case in point – this Twofer Top from Covered Perfectly (20% off with my code MS20). It’s lightweight, comfortable and I love the 3/4 length sleeves. I wore it with black pants and styled it with this Betsey Johnson tote (similar) that I stole borrowed from my daughter in my post about What to Wear Shopping. 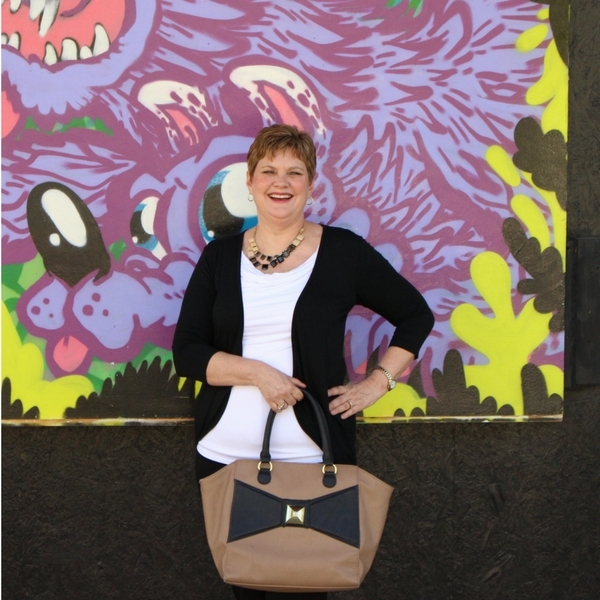 Jodie from Jodie’s Touch of Style is fearless when it comes to putting the unexpected together. 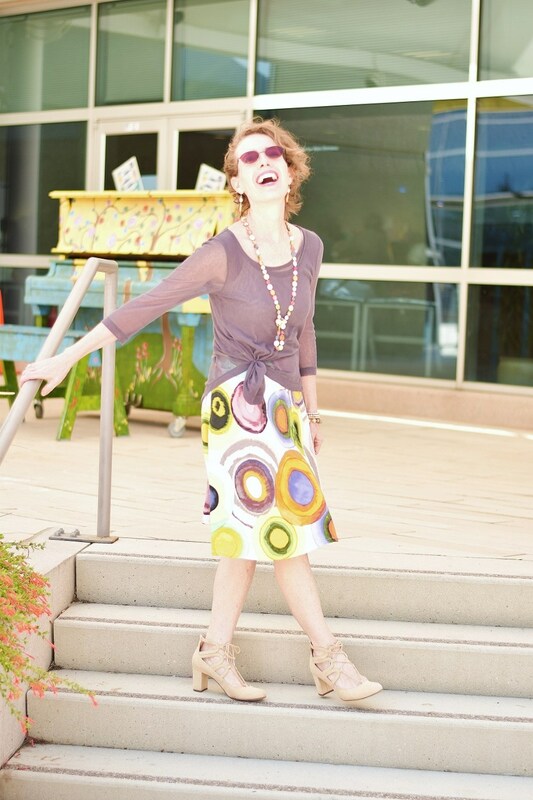 In this post, she and her models (Mom Charlotte and Stepmom Nancy) paired their summer skirts with more Fall-colored tops like this muted purple that Jodie is wearing. Isn’t it great? Julia from When the Girls Rule wore her pink summer top with rust-colored wide leg pants. A kind of out of the box color combination that works great! Sometimes you just have to try color and style combinations that you never thought of. They won’t all work, but you may be pleasantly surprised! Doesn’t she look fabulous? 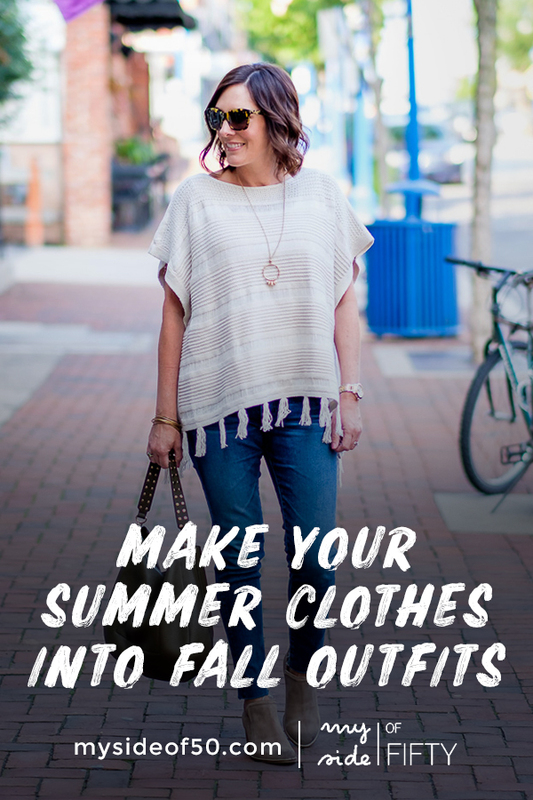 How do you turn your summer clothes into fall outfits? Did you love this post? I’d be thrilled if you shared it. Pin it or share it on Facebook! Are you excited when you walk into your closet to find something to wear or is a totally frustrating experience? Take the From Frustration to Functional Closet Challenge! 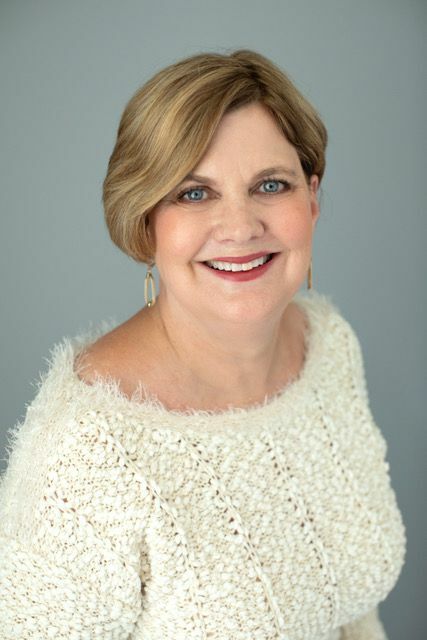 This totally FREE challenge from the folks at Adore Your Wardrobe will give you lots of tips to help you love the wardrobe you have and a closet that functions for you! Cathy, I love this piece because it encourages us to work with what we have in our closets. Lots of great tips! Thank you for including me, but as I mentioned on Facebook, I would have read it anyway. ; ) Love your twofer top, too. It seems very versatile. Enjoy the Fall! This turned out so perfect, Cathy!! I love how you can take one idea and make it so different! There are a lot of cute looks here. I, too , am loving those dark florals. I love my white pants and am glad to know others are still wearing them. It was 90 here today so white is the ticket. Cathy, such a great post with so many fabulous bloggers featured! 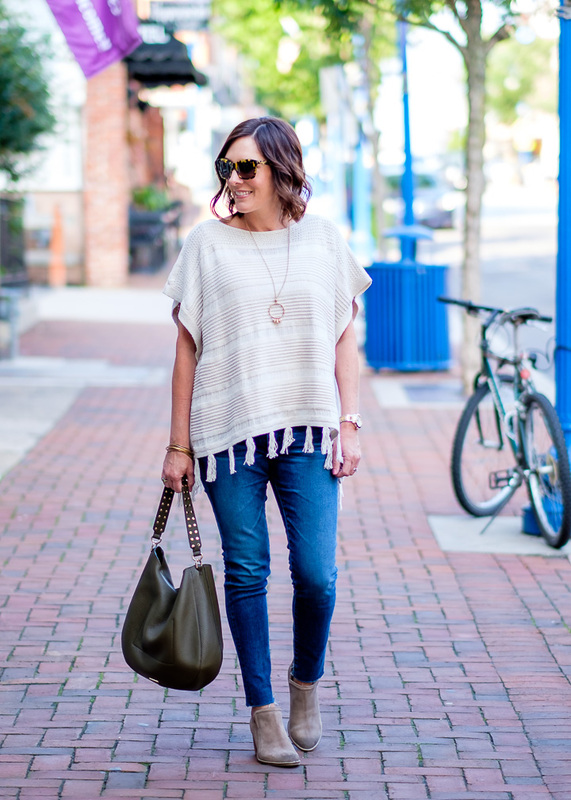 I love transitioning my wardrobe to Fall! Thanks for linking up with me and of course, you already know that this post is a featured favorite on my blog this week! I love all these ideas! Thanks for sharing them…and all the different bloggers! Cathy, I love the idea of fake layers because I’m always warmer than everybody else. I’ll be on the lookout! I’m looking for a two inch heel. Cathy, I enjoyed your post. It is tough in the South, as I am craving Fall clothes about now. i will transition wearing Fall colors, Fall dark florals and peep toe booties are a great way to get a boot feel without the tights. Love your vest with the dark denim. Those Fall Florals are a savior this year. I have a couple from summer that I am pairing with a denim jacket for the transition!